Last term I had the privilege of team teaching with a colleague who is teaching a Year 7 class this year for English, Maths, Science, Geography and History (at my school Year 7s are taught these subjects by the same teacher as a middle years strategy). This class, like many classes, consisted of students of varying ability levels and were learning English as an additional language. We wanted to utilise technology in a way that enabled more differentiation. personalised learning and more opportunities for teachers to help students one-to-one. So we decided to use OfficeMix to flip the classroom. We didn’t flip the classroom in the traditional sense of getting students to watch video tutorials at home and then do activities in class. Instead, we did a brief introduction of the lesson (eg. brainstorm, linking the lesson’s content to previous learning, pre-loading metalanguage) then students watched an OfficeMix presentation on their own devices with a follow-up activities (eg. quiz or a worksheet). Students were told they can watch the OfficeMix presentation as many times as they need to in order to complete the follow-up activities successfully. This meant some students only watched the OfficeMix presentations once or twice while other students watched it many times. When students found the follow-up activities challenging, they were able to watch the OfficeMix presentation to work out how to do it. This allowed me and the teacher I was team teaching with to offer intensive one-to-one support to the students who needed it most. Using video tutorials is not new but what I like about OfficeMix is that it utlises PowerPoint. PowerPoint is a software that many teachers are familiar with so it is an easy step-up for for them to use the OfficeMix add-on. Many teachers already have many existing content presented in PowerPoint so they can easily turn them into video tutorials with minimum workload. What I personally found the most useful is that OfficeMix presentations works on all devices. The class I was teaching in had students bringing Surface Pro’s, Windows laptops, Macbooks, iPads, iPhones and Android phones. OfficeMix worked on all of them. My next step is to have students making their own OfficeMix presentations to show their learning. Before we jumped on the BYOD bandwagon, we wanted to know what students thought of this. This involved chatting to students to explain what BYOD is and whether they would bring the devices they already at home to school. We put the feelers out to see what students, parents and teachers think. The students we spoke to in these informal discussions were very supportive of the idea of BYOD and wanted to be involved in the school’s exploration of possibly implementing BYOD. At the same time, we also looked at the literature review into BYOD and did some further research, which included using the insights from Mal Lee’s Bring Your Own Technology. Once we had a good grasp of the educational research and grounding for BYOD, looked into other school’s journey into BYOD, looked at what we already knew about our school community, we decided to propose a BYOD model where students bring in whichever laptops or tablets they wanted as long as the devices connected to the school WiFi and had certain basic software and apps installed. 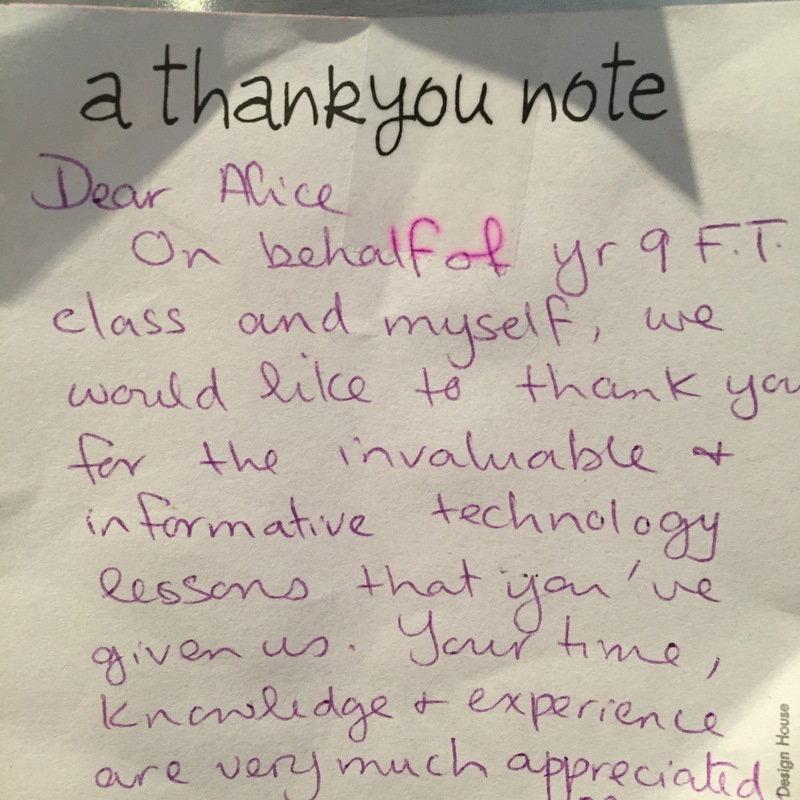 We also seeked feedback from people with a bit more expertise than we did at BYOD (hat tip to Pip Cleaves and Stephen Turner in particular). So at this stage, the senior executive team was happy, the students we spoke to were happy and the teachers we seeked out for the BYOD trial was happy with the model. At this stage, our Community Liaison Officer and P&C gave their support to the model and was able to help us explain our BYOD proposal to parents. This launched us into mass data collection stage. We had a fair idea of what devices our students already owned and the challenges that will face our students’ families if BYOD is implemented, but wanted to be 100% sure and to hear as many voices and ideas as possible. We surveyed Year 7 and 8 students and their parents. From the student survey data, we chose a group of students that held a diverse range of views towards BYOD for student focus groups, which is also acting as a student advisory group for BYOD. The focus groups enabled students to explain their concerns towards BYOD in detail and as a group come up with solutions to address their concerns. The main lessons we’ve learnt from our BYOD journey so far is to involve the school community as much as possible. This sounds obvious but from our experience it is the students and parents who have come up with the best solutions to address challenges of BYOD. Our next step is to work with teachers and students on the next challenges, which includes leading a classroom with multi-platform devices and learning design that will best utilise students’ devices.